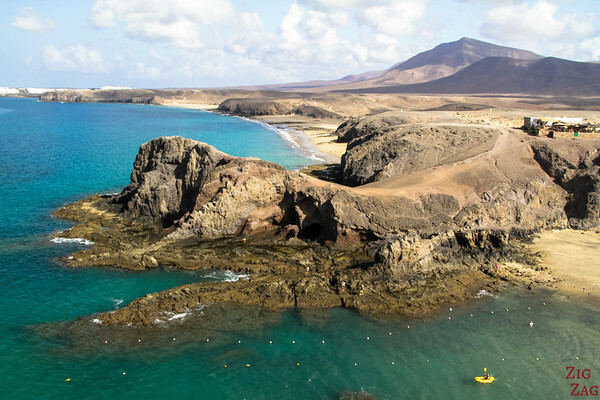 Lanzarote is not only for all-inclusive holidays. It is an amazing playground for photographers and nature seeker! 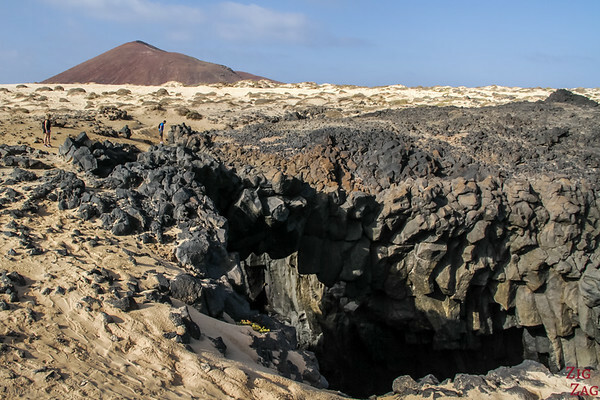 Let me show you some of the best Lanzarote photography locations you could enjoy and the many opportunities the island has to offer. You won't be disappointed, there is beauty (and colour) everywhere! 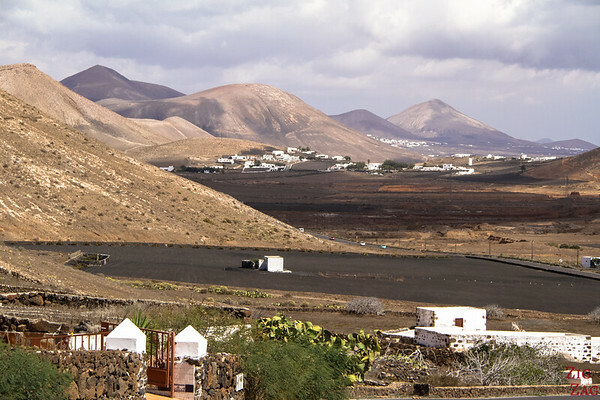 Best time to visit Lanzarote - it is great all year long. The busiest months are Summer and Winter. Shoulder seasons are the best (less crowds) and conditions are great. The orange colours of the vine are interesting in autumn. Generally there is a big blue sky, so don't forget your polarizing filter! Sometimes a fog covers the sky, coming from the Sahara. On those days, photography is difficult, but it usually does not last more than a couple of days. There can be strong wind - it that case I recommend to protect your camera with a raincover to avoid sand or dust entering it. 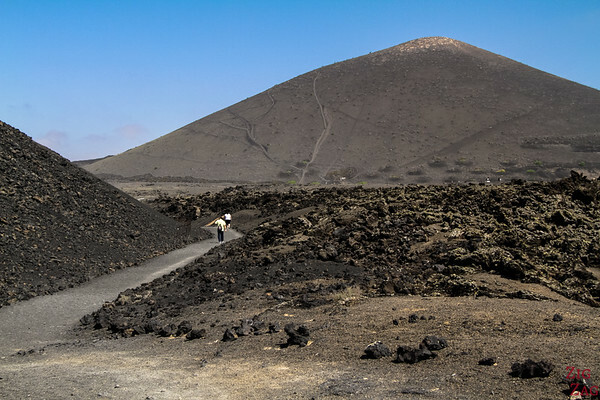 This was my favorite volcano and my favorite walk on Lanzarote. This is an easy walk around a full caldera (although some area are like gravels, so ti is a little harder to walk). I think the best part is the beginning as you approach the volcano. 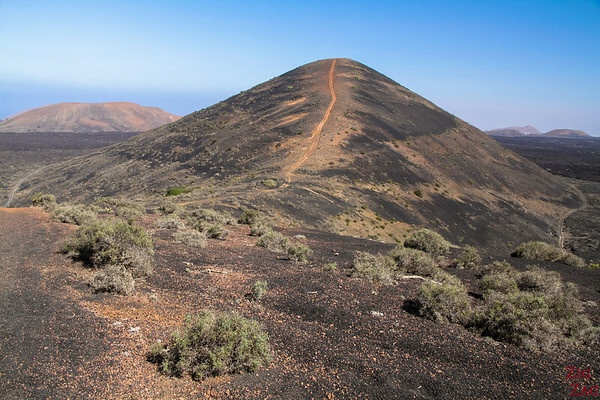 However the other great path is that you can walk inside and you have fantastic views of the surrounding volcanoes. 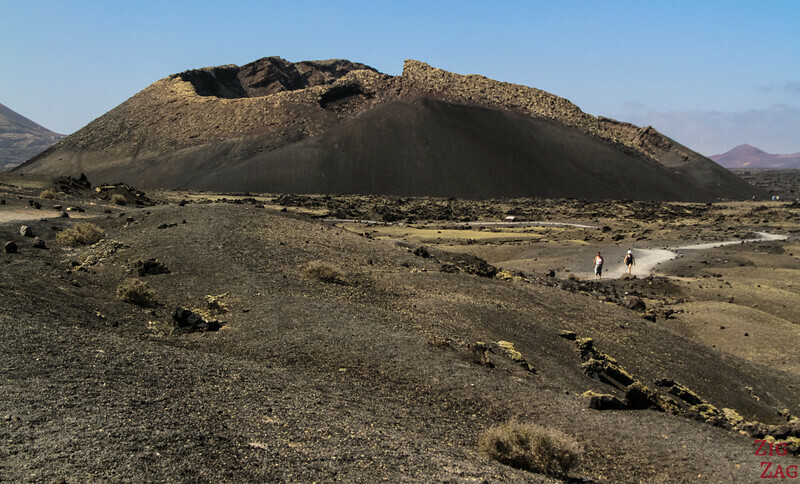 This volcano is not in Timanfaya National Park but in the surrounding Parque Natural Los Volcanes. Best time to photograph: For the beginning of the walk with the whole volcano, morning is better. However for some of the views around it, afternoon would be best (they are in every directions...). Great place for night photography. 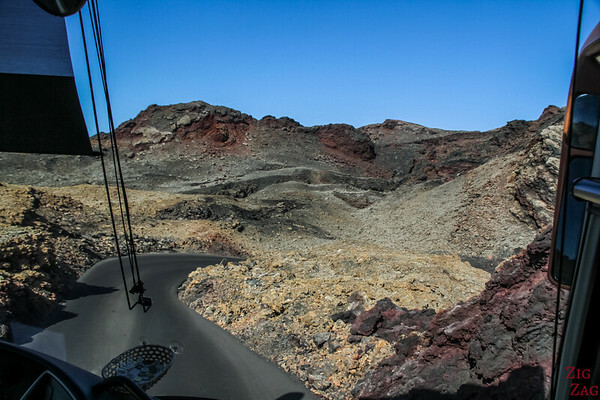 Timanfaya National Park is the most famous area in Lanzarote. It is a fantastic world of volcanoes and lava, fully protected. There is just one road going around and you can only enter in a bus. There is sadly no stop to get out of the bus and take photos. However, rangers offer a few walk a week in other section of the national park. Not many open spots, so book well in advance! I really loved the Tremesana walk just North of Yaiza. Best time to photograph: When the tour runs... Book one of the tours here. 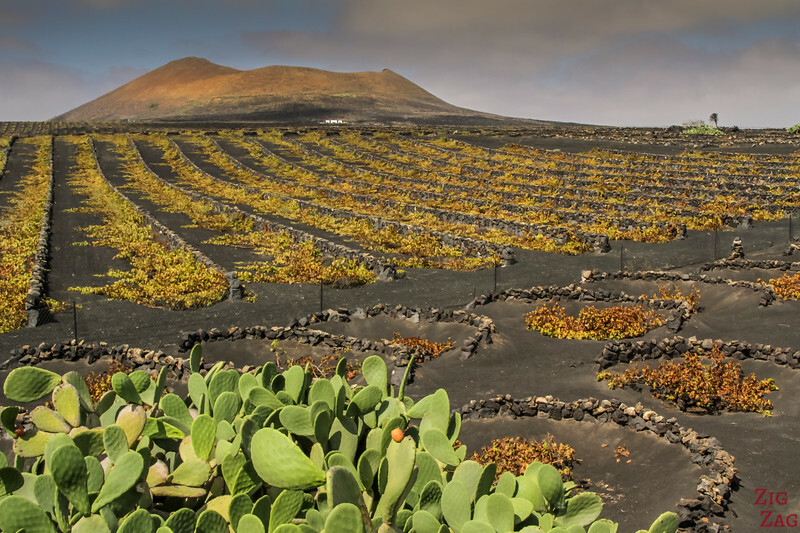 To learn about wine in Lanzarote, most people go to La Geria. I get it, the valley is impressive all covered with those circles. But personally, I thought El Grifo was a lot more photogenic. 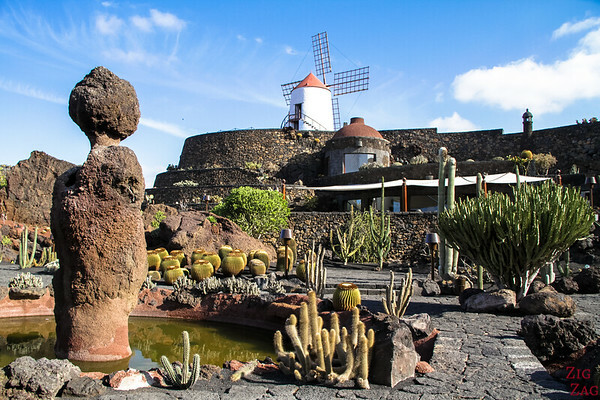 They have charming white buildings, a museum, a cactus garden and a great colourful volcano near the vines. Best time to photograph: Summer or Autumn to have vivid contrast between the vines and the black ground. 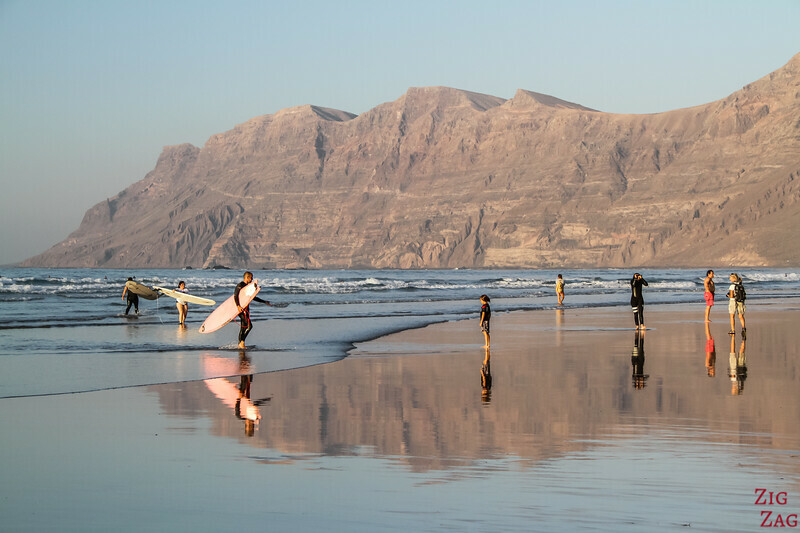 Best time to photograph: Definitively at Sunset - the reflection of the cliffs changing colours, and the silhouettes of the surfers with the sun and a volcano behind are great. I took way too many pictures!!!! I am not satisfied with my own pictures of Teguise, but it is a really fantastic place to capture the traditional architecture of the island. It used to be the capital of Lanzarote. Lots of white houses, with colourful rocks, contrasting doors and small decor elements. Plus, just outside you can find a colourful hill with a small castle right at the top! 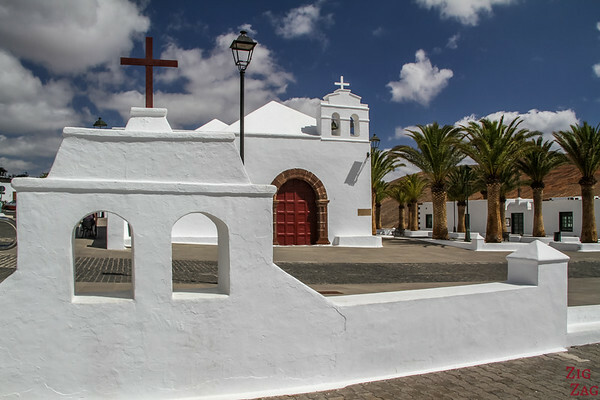 I really recommend to take you time and stroll the side streets of Teguise looking for interesting angles. Best time to photograph: Don't visit on Sundays, there is touristy market so it gets crowded. And the market does not have many traditional craft anymore. It was really really difficult to reduce to only 5 spots. There are so many amazing places to explore and capture. 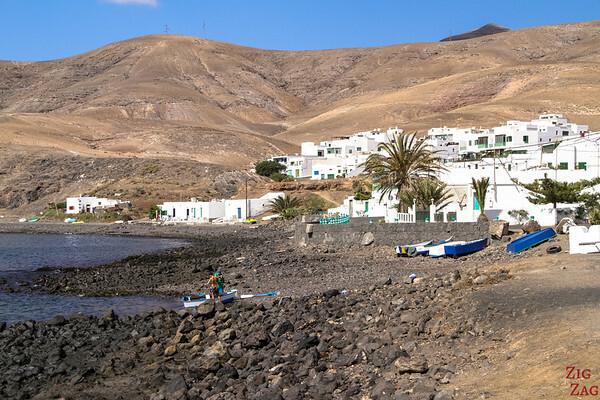 This is why I have written an eBook with all my favorite locations to photograph Lanzarote. Below you can get an idea about many of the locations inside the eBook. 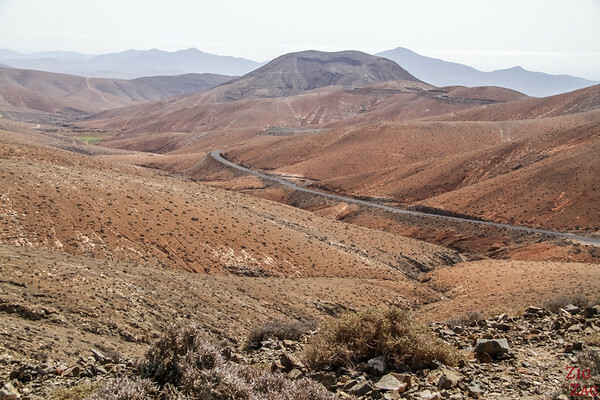 One of the main landscapes to photograph in Lanzarote are, of course, the volcanoes. There are hundreds of them. Some bigger than other and with different shapes and colours. 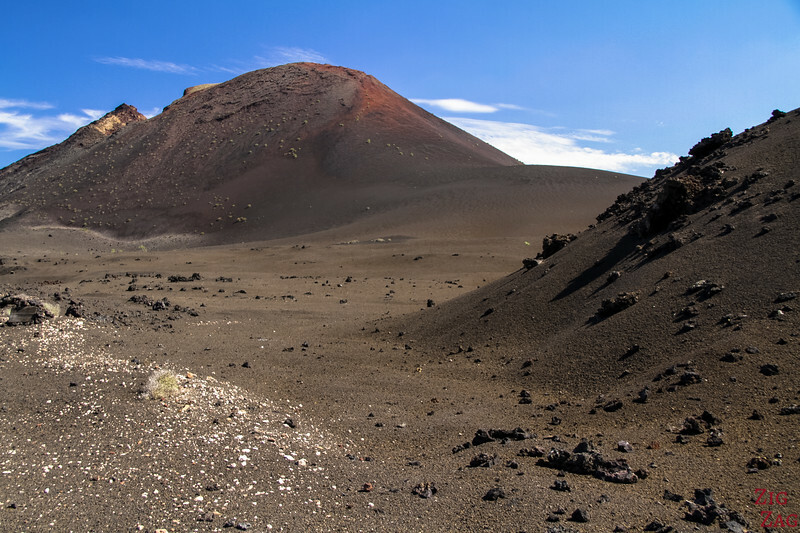 Timanfaya is the most beautiful area in Lanzarote. The volcanoes and lava seas are protected and you can't enter alone. It would be wonderful to photograph but the main area is only accessible in a coach. So you have to take pictures through the windows. It is still worth doing and if you sit on the right and put your lens against the window, you can still take a few cool shots. The only way to walk in the park is my booking one of the tours with the rangers. But there are only a few spots every week. Info here. 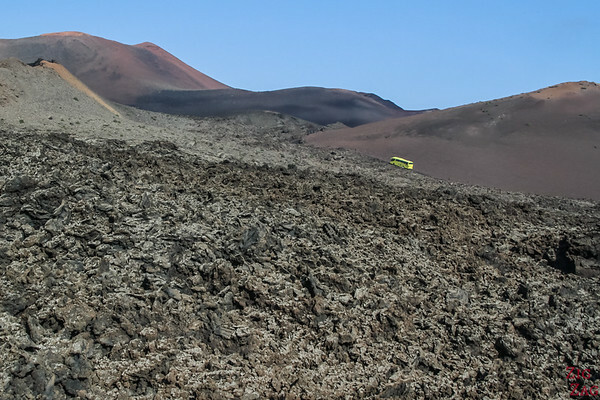 Surrounding the Timanfaya National Park are more volcanoes in Lanzarote. There are easily accessed and many offer amazing hikes to go around or walk to the top. From some of them you get great views of Timanfaya from the distance. Lanzarote and its neighbour La Graciosa, have some scenic beaches to photograph - White, gold or black sand... Turquoise waters and volcanoes in the background make for interesting compositions. Because of the volcanoes and their eruptions, you can also capture a lot of interesting lava formations. Sometimes it has flowed all the way to the sea and you get an explosion of colours with the intense blue of the water of the white of the sand. The most famous location is Los Hervideros where a path has been set up to get down inside those basalt shapes. 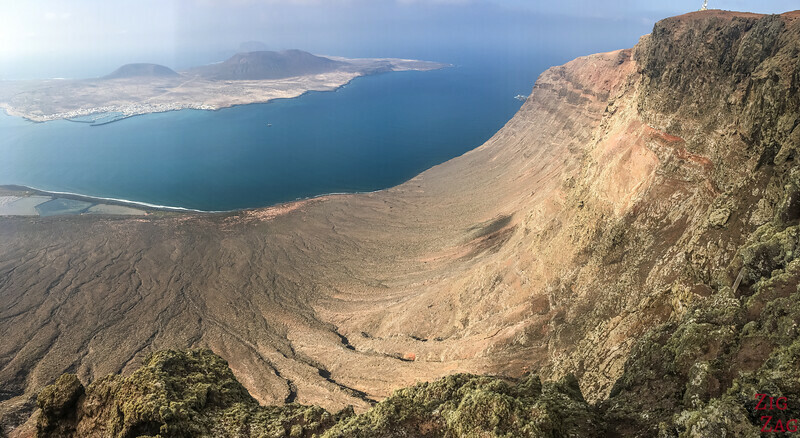 Hard to write an article about the best Lanzarote photography locations without mentioning the most famous viewpoint: Mirador del Rio. And old military fort at the top of the northern cliffs has been transformed by Cesar Manrique. 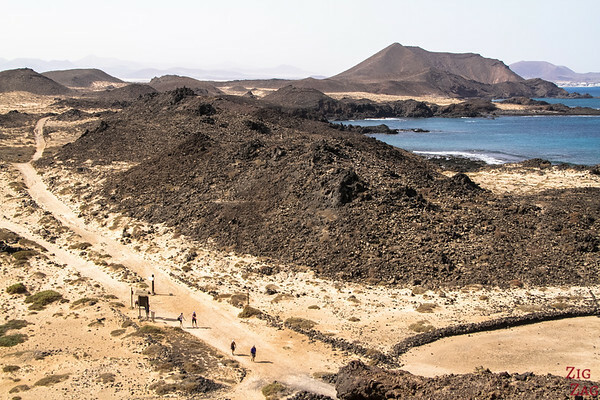 2 viewing platforms have been set up to admire the cliffs and the island of La Graciosa. But there are a lot more options to consider on the island. It is not as repetitive as one might think. You can even find a valley with palm trees to the North. And it the South West coast, you can discover the Janubio salt pans. So much colours and shapes to play with! I mentioned Teguise earlier as a great example of local architecture to take photos. But you have many other small villages away from the tourist stops that are great too. Inland or by the see, you find those small white houses with green, brown or blue stripes. They contrast a lot with the dry brown orange landscape. 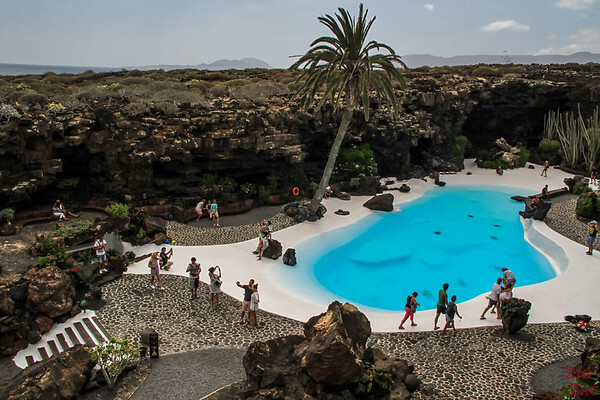 The most iconic photography locations in Lanzarote are the work of Cesar Manrique. He was a very influential architect and artists. Thanks to his dedication to integrate architecture with nature, you can't find many tall ugly buildings on the island. For example, you can visit the Cactus garden, Jamaeo del Agua (with the famous swimming pool) and the house museum of LagOmar. 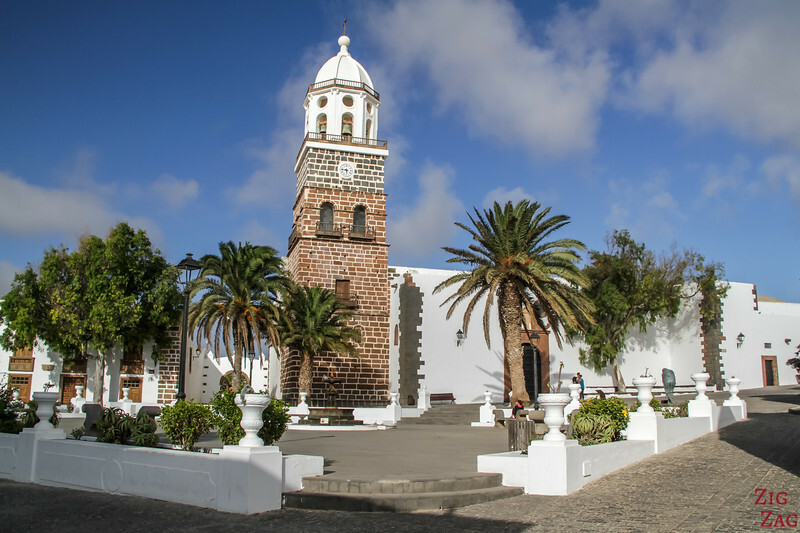 Read my article about the Attractions in Lanzarote by Manrique. 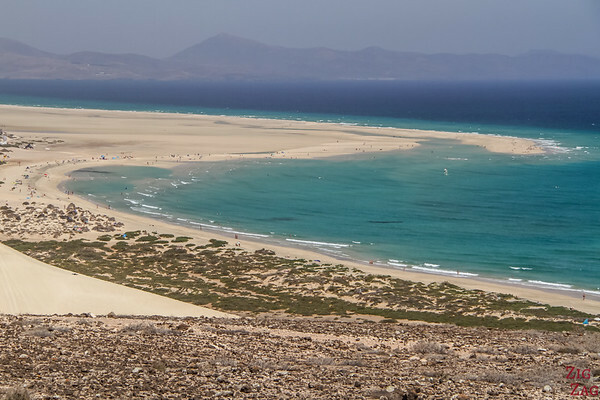 Plus you can take 1 or 2 or 3 days to go explore the neighbouring island Fuerteventura. You have more mountains and amazing white sand beaches to capture. Something a little different from Lanzarote. Below are a couple of shots to tickle you. The island is quite big, so you need to plan your time wisely, but it is also a great experience. See the ferry schedule from the 3 companies. 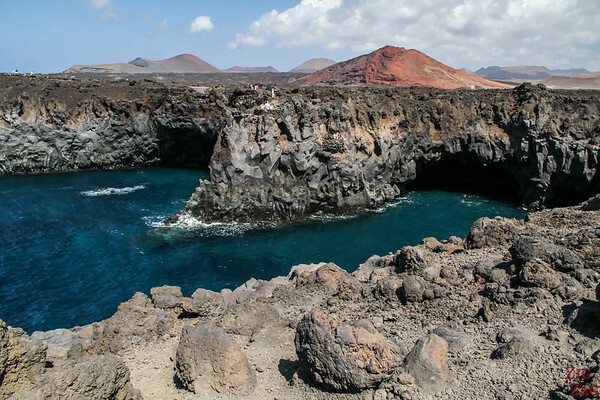 And one of my favorites was the little island between Lanzarote and Fuerteventura (but closer to the latest): Lobos island. 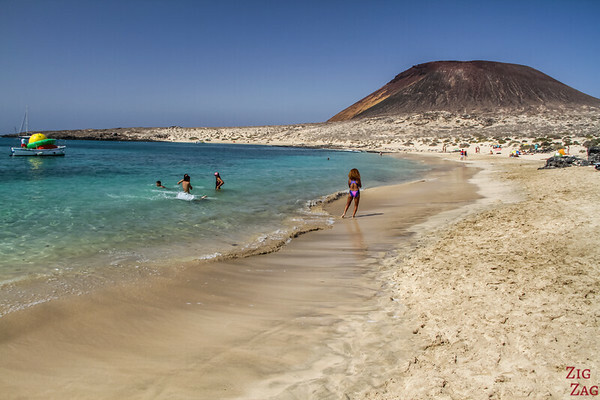 You take a ferry from Fuerteventura and can spend all day walking the island. Amazing place to photograph, isn't it?